“Berkeley Symphony and Friends” had their fourth concert this year at the Piedmont Center for the Arts. Last Sunday, March 11, an accomplished foursome forged new music out of professionalism and whimsey from very different branches of the musical tree. Evan Price brought gentle certainty to his leans and impetuosity to his runs. 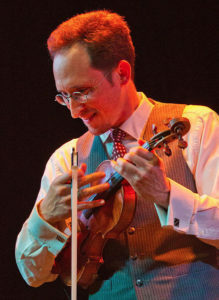 Along with his classical training, Price is a fiddler nonpareil (as in Irish and folk fiddling), and has won many awards and played for ten years with the famed Turtle Island Quartet. 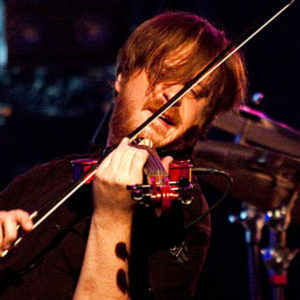 Matthew Szemela was direct and rich in the lower violin part, giving his line a depth that impelled delicious harmonies. 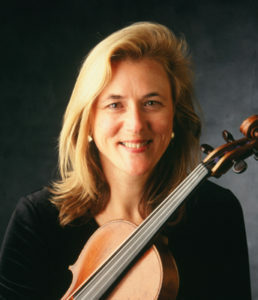 Violist Emily Onderdonk anchored the center, bringing tight focus and a rich golden sound to her viola line. And Dr. Alex Kelly was their cellist, nimble and bright in his top register and at the bottom invoking the solidity of mountains. The Andante was pure gravy, a slow movement of such beauty that we just knew that everything was going to be all right. And after this bed-time story the Presto showed how these pros liked to punch it up. Matthew Szemela welcomed us and spoke about his departure from strict classicism. Like Mozart, Billy Preston had that golden thread, an absolute faith in the human heart. Onderdonk’s arrangement began with viola tremolos and high violin shrieks and a deeply felt cello line, before getting down and “funky.” After that Kelly played his cello like a stand-up bass with fat plucks and slaps, while Price and Onderdonk lilted out the rhythm and Szemela made his violin zing. As promised, this was a celebration. Using several pedals, Szemela created effects and layers, with low overlapping notes (and his new bottom string was deep into cello territory) and high tremolos turned into the birdcalls of spring. There was blue-grass and light pizzicato spatters over rhythm tracks. And there were bow attacks turned into heavy metal “mwah’s” and baroque Vivaldi trills peeking over the mix of dirty rock chords. As he played Szemela turned and gathered the others in with “two…three…four!” and without pause they were playing Vivaldi’s original and enchanting “Spring.” This was a celebration of rebirth and newness, and as Vivaldi himself was a virtuoso violinist, it was written so that Szemela would shine. The second movement had a jazz preamble and smooth joins, and the third was a chance for some ole time fiddle playing and long improvisations and then a seamless join into the timeless 1721 notes. These players, aided and abetted by Mandel, had an infectious energy that reminded us of the universality of art across genres and time. Price gave us explosive figures and Irish scales (well, I suppose they were Norwegian but sounded similar), and Szemela laid down a rhythm track. The cello and viola lines had the slow overlaps of the sea, and then they all powered up for dumbek rhythms and golden plucks. “Spinning Wheel” took the Blood, Sweat and Tears classic and added choo-choo chords and a wicked high violin riff and even mashed up bits of children’s song. And “Hasse A’s” was a foot-stomping romp in a Swedish sensibility. “Mercy, mercy, mercy” gave us a blue-grass cover of a big band favorite, and then they ended with Tower of Power’s “Don’t Change Horses (In the Middle of a Stream),” with a hair-raising “power up” and a funk barnyard sound. This was generous music, visceral and thoughtful at the same time, with room for improv solos and wild high discords and low grinding cello. After standing ovations, they returned for an encore of “Shake it Up,” and that would have been perfect for a dance floor. Next up at the Piedmont Center for the Arts the ProMusica Trio will join narrator Jerrold Rishe for “Napoleon: In Deeds and Music.” This thought-provoking interpretation of music and history will be held Saturday, March 24 at 4:00 p.m. at 801 Magnolia Ave, Piedmont. See piedmontcenterforthearts.org for information and tickets. Photos of Matthew Szemela, Emily Onderdonk and Evan Price courtesy of the artists’ websites.